As a busy small business owner, finding time for SEO can seem like a pipe dream. You have customers to find, clients to manage, and employees to train. Not to mention the dozens of fires that need putting out on a daily basis. And let’s face it: not only is SEO often time consuming and highly-technical, but its fast-moving pace can make it almost impossible to keep up with. Fortunately, you don’t need to get a PhD in computer science to do well with SEO. 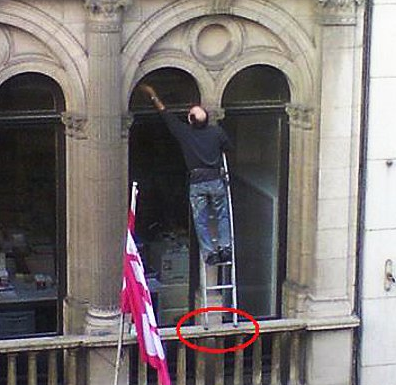 Yes, it’s usually best to hire experts to get the job done. But if you want to DIY all or part of your SEO campaigns here are some easy on and off site wins that you can take advantage of. There’s a lot of focus in the SEO industry on social signals and backlinks. And while those two things play an important role in SEO, they’re only one small part of the ranking equation. In fact, it’s sometimes possible to rank without links. One mistake I see a lot of small business owners make is having weak on-site optimization. The best part about taking advantage of your site’s on-page SEO is that it’s a low-risk endeavor that can land you extra traffic fairly quickly. Update Your Site: I find that many small business owners have a static HTML site that they don’t update very often…or at all. Considering that Google pays attention to site updates and added content as one of their ranking signals, it makes sense to continuously add new content to your site. Setting up a small business blog is an easy way to make this happen. Link Out: Google doesn’t like to rank websites that don’t link to related websites. Go to some of the pages that are lagging in the results and consider adding one or two outbound links to authority websites, like About.com, NYTimes.com or Stanford.edu. No matter how small your small business website may be, there’s always the possibility of some indexing issues. That’s why it’s critical to have a Google Webmaster Tools account. That way, you’ll be notified immediately if your site goes down or gets hacked. You probably already know that backlinks are one of the most important factors that determine your site’s ranking in search engines. However, for most small business owners, finding the time and resources to build backlinks by hand is almost impossible. Fortunately, there’s a low-cost, high ROI strategy that you can use to drive traffic and links to your site: infographics. The best part about infographic marketing is that when people use an embed code to share it on their site, a link is automatically build back to your site. That means that you don’t need to build all of your links one by one: you just need to get people to share your infographic. And the content, design and distribution can be completely outsourced or done in-house: meaning you get high quality links without having to lift a finger! Google and other search engines reward websites that publish great content that users love. Even if you’re in a “dull” industry like insurance sales or plumbing, that doesn’t mean content marketing is out of reach. Although the viral content route you want to take, keep in mind that it must not have taken this company very long to put this together. In other words, an easy SEO win. Think about how you can do the same in your industry. Consider creating how-to guides to doing your taxes or waxing furniture. If it’s useful, people will naturally want to share it (and link to it). Because you already know the topic like the back of your hand, putting it together in a blog post should be a cinch.